Last week, our CEO David Currie joined Geoff McQueen, the CEO of our awesome integration partner AffinityLive, and Mark Lehmann, CEO of another of our awesome integration partners Saasu, to offer us solid SaaS tips that will take a load off your shoulders by automating your entire client lifecycle. If you weren’t able to join us for our first in a series of free webinars on awesome sales tips and tools, boy, do we have a treat for you! Not only have we taken the time to go to class and take good notes for you, we’ve recorded class and shared the video with you in order to make your client relations less stressful and more successful! Let’s jump right into the key points! We all want to focus on growing our business, but often we are too focused on doing our work that we are not spending enough time thinking how we are doing our work. As Marc says, “You are what you haven’t automated.” if a business uses three systems that work seamlessly together, it drastically reduces data silos and increases workflow and data accuracy, all the while saving time and money. You get what is referred to as straight-through processing. Initial Point of Contact: This includes lead generation, lead qualification, lead nurturing, acquisition and, of course, asking the client the right questions and then writing a business proposal. Delivery of Awesome Service: When you provide your excellent service or products to your new or returning clients, delivering on the agreed-upon solutions. 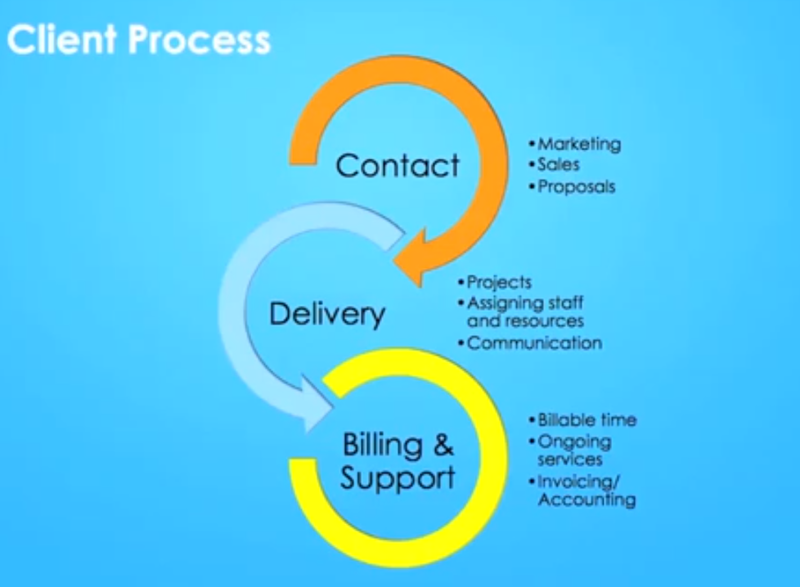 Billing & Ongoing Work: This is where you continue the relationship with your client, including billing and follow-up for future partnerships. This is also where you examine the finances and efficiency of your business as a whole. Your client process can be broken down into three parts: The People + The Process + Capital = A Job Well Done. Using Customer Relationship Management systems (CRMs) that integrate together means that everything works more smoothly, allowing you to have a clear view of your client lifecycle and your company as a whole, enabling you to bill more than eight percent more than before. What’s the solution? 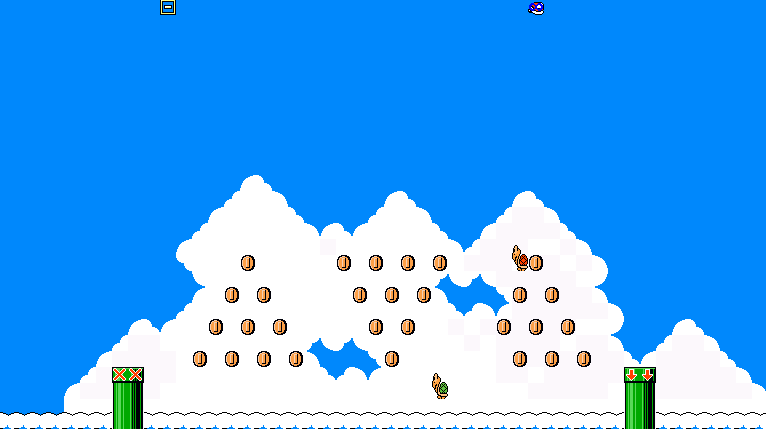 Hop on a cloud! As AffinityLive’s Geoff aptly points out, “If you don’t have a customer to sell to, you’re not in business.” The client lifecycle always begins and ends on your CRM. “If you’re in the services business, generally speaking, it’s rare for the client to just show up and give you a check right there,” Geoff says. “There’s a need to get to know who the client is.” Only then can you identify their needs and offer them proper solutions. AffinityLive helps you organize your client contact info, decision makers and contact history, and to integrate emails, as well as sales notes from phone or in-person conversations, all in one place. Since everyone on your staff can log in, it offers you one place to also collaborate on solutions and track how the process is going, even rating the opportunity to help develop priorities for your sales team. Now, the opportunity is qualified. 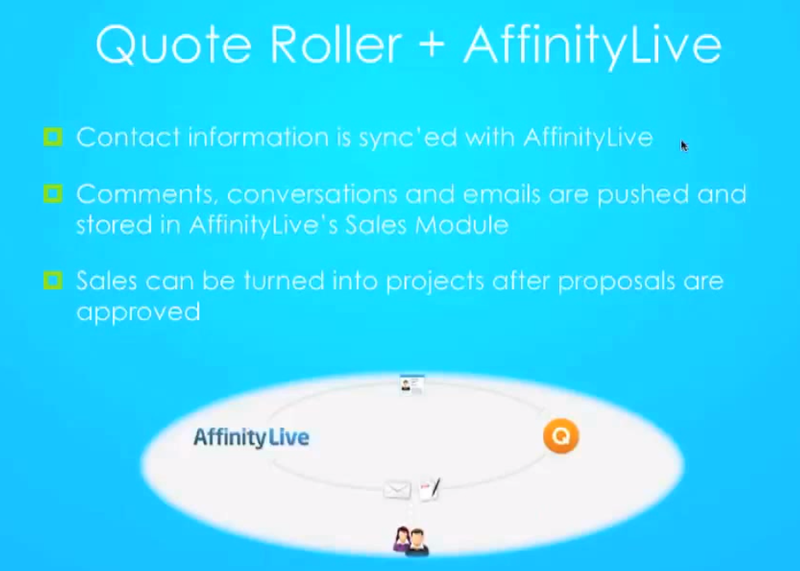 The next step in the client lifecycle is to offer them a professional pitch, which is where Quote Roller comes in, integrated within AffinityLive all along the way. You can use your own personal content library, Quote Roller’s templates, or start from scratch to build a professional online proposal to send that qualified prospect. The contact info of your client automatically populates right in there — from proposal to the email that send them the finished product. The more proposals you send and sales processes you go through, the quicker everything is. Once you’ve populated your pricing list within Quote Roller, it’s right there waiting for you to select the right pricing and service package to suit your client’s needs. Next, you add the text of your proposal. If you have the Professional or Enterprise versions of Quote Roller, you’ll have already built your own personal content library. This means you can choose the content you wish to include, but we recommend you edit it to personalize it to your clients needs. (Always beware of using too much boilerplate!) All of your proposals can also be multimedia-rich; you can include a video referral from one of your all-star clients, a portfolio of past work, links, or anything else you think will be useful to close the deal (not bells and whistles that distract from your solution.) You can customize all this info for online or PDF versions of the proposal. When you’re finished creating a proposal that you and your team feel accurately responds to client questions and needs, you can enable them to say “Yes!” easily through a secure e-signature. 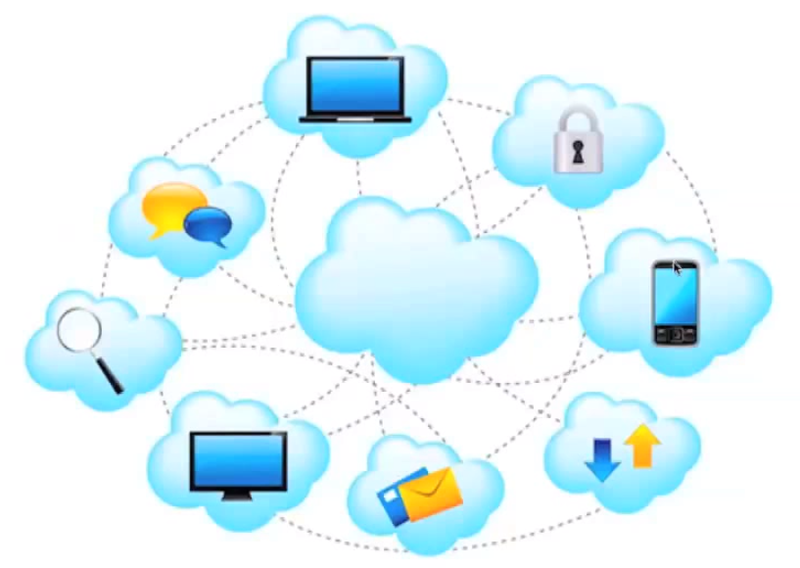 Your client will then receive an emailed link to a dedicated online solution, that they can comment on, ask follow-up questions and even accept, all in one place, all online. As soon as your client opens your proposal, you receive an email. You can then go into Quote Roller to see what he or she looked at. In the webinar’s example, David’s client had sent him some questions and/or assumptions without having looked at the whole proposal yet. This knowledge arms you for an educated follow-up discussion with your client and prepares you to tackle their objections. Now that your proposal is signed, you can use AffinityLive to manage your new project. In a couple of clicks, you’re able to assign a project manager, describe the project and set the perimeters for such things as the time and resources allotted to it, including deadlines. Setting schedules and creating checklists are crucial parts of all project management. It’s especially valuable, if you and your company provides an hourly service; AffinityLive allows multiple members of your team to log their hours, letting you track your whole team’s progress. Then, if you’ve over- or underestimated the needed time, you can update it in the moment. Plus, this CRM allows you to communicate across team functionality without having to be working in the same place at the same time. You can also create an overall budget and line items for what actions cost how money. Finally, sales and projects can be converted into ongoing projects with revenue you can bill, all in one cloud-based place, when using Saasu, the accounting engine behind the scenes. 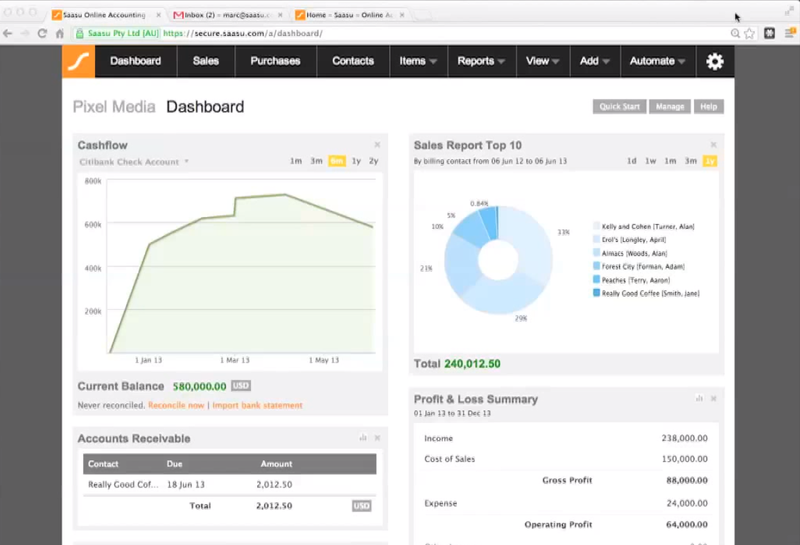 This next step is integrating Saasu’s accounting pieces into your client lifecycle. The purpose of Saasu is to reduce data-entry time. It’s built with the ability to add and remove widgets your individual company may need, including balance sheets, cash flow and invoicing. All the information from Quote Roller and AffinityLive doesn’t directly flow into Saasu, but rather it comes in at an as-needed basis. For example, you don’t need your whole CRM dumped into your accounting SaaS, but you do need the clients who have signed proposals and agreed to work with you to automatically filter on down. Your AffinityLive-based pricing table also integrates information it pulls from Saasu, like ledger codes and invoice numbers. After your project is created, if you want to invoice the client for, perhaps, a 25-percent deposit, you can do it right then and there. Everything your sales team does in AffinityLive or Quote Roller that is necessary in the accounting world flows down into Saasu. (Of course, then everything can be converted into that accounting lifeline: the spreadsheet.) Likewise, if you log a payment within Saasu, it flows up back into AffinityLive to show everyone that payment has been made, without having to go into Saasu. You can even set up a feed between your bank and the accounting system. When a payment is made, it updates the invoice within Saasu, which then is reflected in your overall cashflow, your profits and losses, your accounts payables and receivables, and other reports crucial to your business that you can pull up. It’s all a true story. The actions made in the webinar weren’t simply demos, but the CEOs each walked us through his part in realtime, showing how the three softwares integrate and interface naturally together. AffinityLive, Saasu and Quote Roller all come out of SaaS teams that have spent long hours researching what they can do to improve your workflow and sales and how to save you time and money. Together, they have seen a growth from a few hundred to more than 50,000 paid subscribers in less than two years. That just shows you the trust people have put into them. And we are all betting that you will find a solution in using our three products. Thus, we would like to offer you a coupon code for an extended 30-day trial of each of the three SaaS. Just type in ENDTOEND to experience how you can manage and automate your entire client lifecycle from end to end. Social network addict, obsessed with writing about entrepreneurs and start-ups, including fabulous QuoteRoller.com.